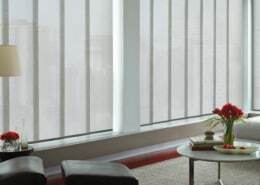 Featuring alternating sheer and solid fabric bands that combine into a single shade, Designer Banded Shades provide a striking, modern solution for view-through, light control and privacy. 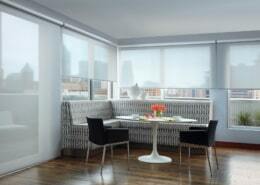 The fabric collection features an array of solids, textures and colours in light-filtering and room-darkening opacities. 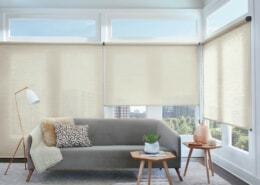 And with superior proprietary operating systems, they’re a perfect fit for any room in the home.